Hold on, hoomin, maybe you shouldn't go anywhere today. I know it's M*nd*y and all, but you're not moving until the fish have passed by. Are they still looking at me? Mikey is so beautiful. You keep those fishies at bay, Gabrielle. 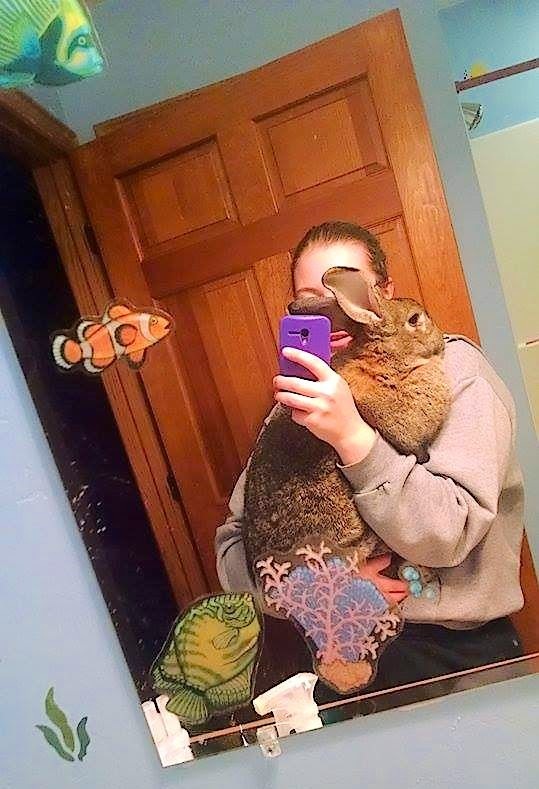 What a fine big boy bun! This M*nd*y definitely requires a grand boy bunny - thank you Mikey for being so bunderful! Thank you Gabrielle for being such a good bunny slave.